I do many drawings of all types for people all over the world. However sometimes I do drawings for myself too…just for fun! I wanted to come up with a fun cartoon illustration of something I can eventually make into a large wall sticker at some point for a fun decoration. 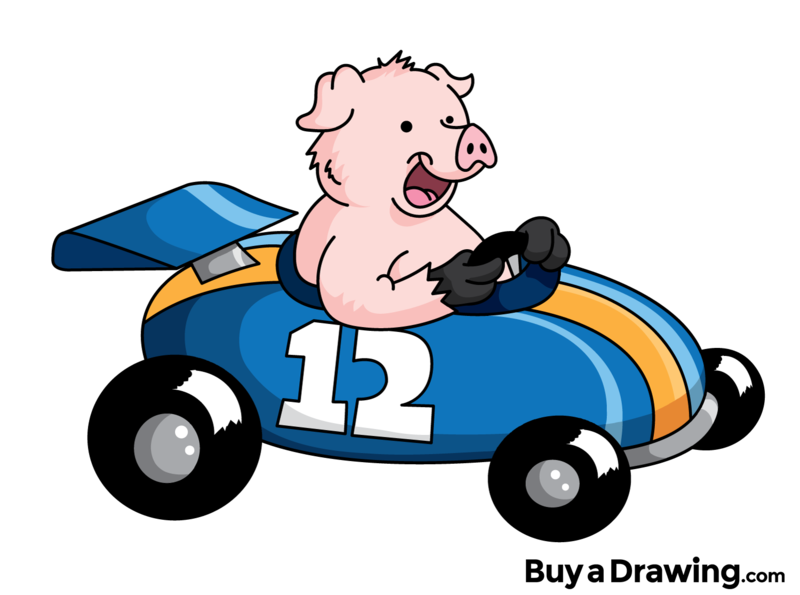 So the first thing that popped into my head was this racing car pig driver. On your mark…get set…OINK!